Moving to Silicon Valley to start your own company or quitting your day job in hopes of getting that new social-mobile-disruptive-app acquired by Facebook are all good reasons to feel good about your startup. If “they” made it, so can I. Maybe. Interestingly enough, despite all the fuss the media makes about startups that “made it” quick, there is usually an ugly truth hiding behind the headline: it doesn’t happen overnight. The millions of dollars in VC money given to the team of 3 guys in a dorm room didn’t happen just after a 15 minutes meeting at the local Starbucks. The acquisition by [insert your favorite tech behemoth here] wasn’t just a lucky strike. And the sudden success of over one million downloads didn’t happen just because of the mention on Tech Crunch. No, my startup founder friend, those things happened after a lot of hard work. 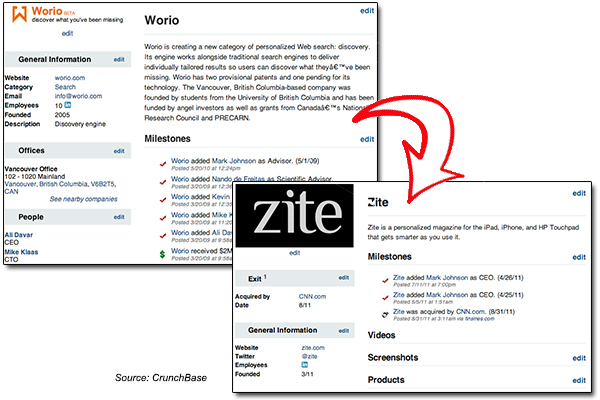 A recent case in point is the fate of Zite, as told by Mark Johnson,its CEO, in an article to All Things D titled “How to Get Your Start-Up Acquired in Six Months or Less“. It didn’t take them six months to see success, it took them SIX YEARS. Yes, they were doing R&D, trying different things and pivoted to what eventually became Zite. Once they found the right product and business model (as Steve Blank likes to say, a startup is a company in search of a business model that works), success was easier attained. Magazines and news sites have to attract readers, so the headlines are catchy. People also like to have someone they can look up to, aspire to become, or learn from and so the stories of quick stardom are naturally attractive. I have nothing against it and I am always eager to read those as well. Just remember that behind each success story lies the hard work that made it happen. This entry was posted in Founder Stories and tagged all things digital, mark johnson, startup success, worio, zite. Bookmark the permalink.